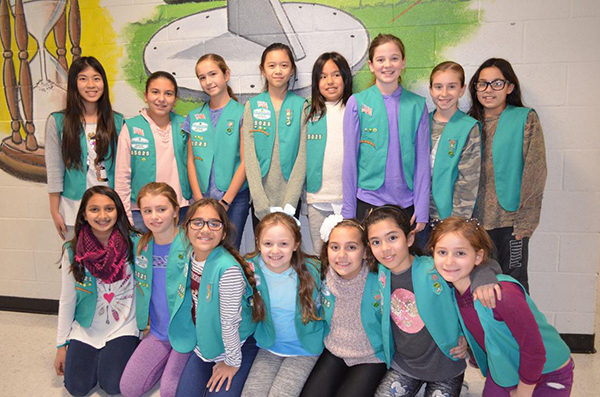 Warren Girl Scout Troop 65025 is on a mission to help people in need get access to much-needed eyeglasses and to raise awareness about the importance of children’s eye health. According to the US Department of Health and Human Services, 25% of kids with a correctable vision problem do not have access to glasses because their parents cannot afford the cost. That same study reported that clear vision is a strong predictor of academic performance in school-age children and is key to their physical and social development. In an effort to provide kids and adults with glasses, the troop will be collecting used eyeglasses and eyeglasses frames throughout the month of February. Donations can be deposited in the lobby of Our Lady of the Mount Parish, 167 Mount Bethel Road, or Mt. Horeb United Methodist Church, 42 Liberty Corner Road, in Warren. The donations will be sent to New Eyes for the Needy, a charity based in Short Hills, NJ, that has provided millions of new glasses to people in need since 1932. The troop is also launching a one-day campaign titled “20/20 on 2/20.” Adults and kids are asked to wear their eyeglasses on Wednesday, Feb. 20, to call attention to the issue of children’s eye health. Adults are encouraged to post a photo or message of support on their social media accounts using the hashtag: #2020on220. For more information on Troop 65025’s mission project, please email troop65025@gmail.com. (above, l-r) Top row: Joy-Anna Wang, Samantha Gomes, Martyna Kubicz, Kayla Peng, Clara Risso, Lindsey Meslow, Keira Moran, AnnMarie DiMaggio. Bottom row: Raina Shah, Rebecca Lubeck, Juliana Santos, Peyton Kalfus, Madison Loureiro, Mia Pucci, Demiana Doss.